Once again rock music has significance and meaning. Black Bluebirds is an electrifying power trio from Minneapolis, Minnesota, comprised of Daniel Fiskum, Simon Husbands, and Chad Helmonds. Their music exists on the fragile borderline between popular music and non-commercial music. It appropriates the tropes and clichés of pop and re-presents them with a sharp, granular, distorted voice. Black Bluebirds’ music is cinematic. Each song is a sonic monument that features angular melodies and lyrics with emotional depth. Black Bluebirds combines dense synthesizers, distorted guitars, and noise over throbbing bass lines and intense drums. Black Bluebirds creates dark, pop-like, textured sound environments that lead the listener into a parallel universe of noise, subversion and mysticism. 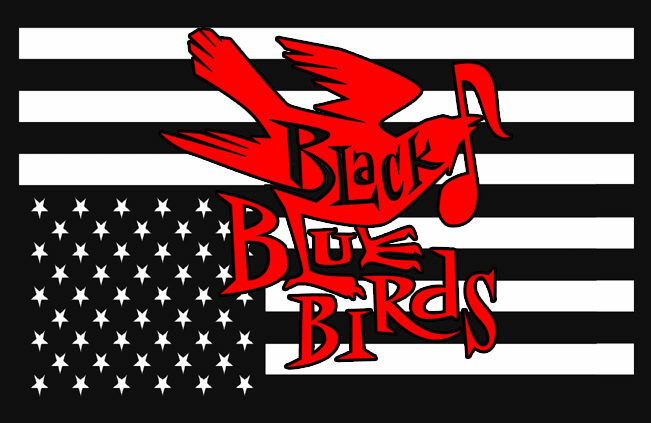 If you are seriously interested in The Doors, David Bowie, Black Rebel Motorcycle Club, and melodic metal, you will find something in the Black Bluebirds that resonates within you.